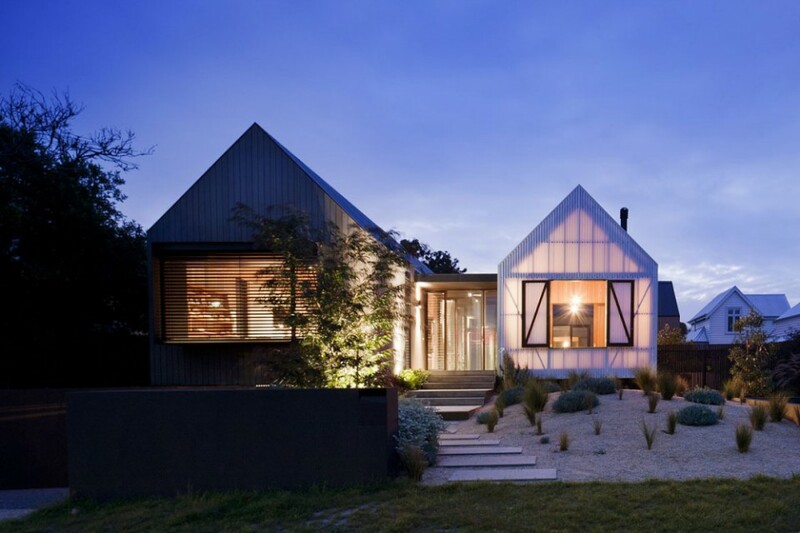 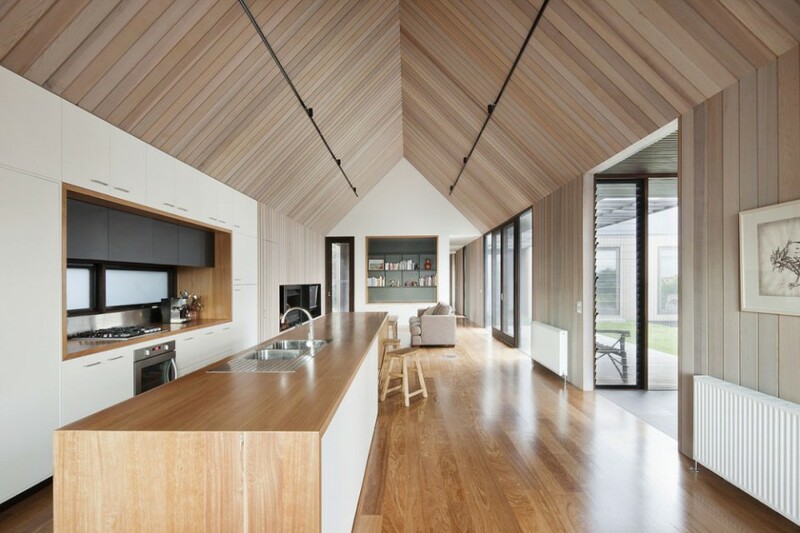 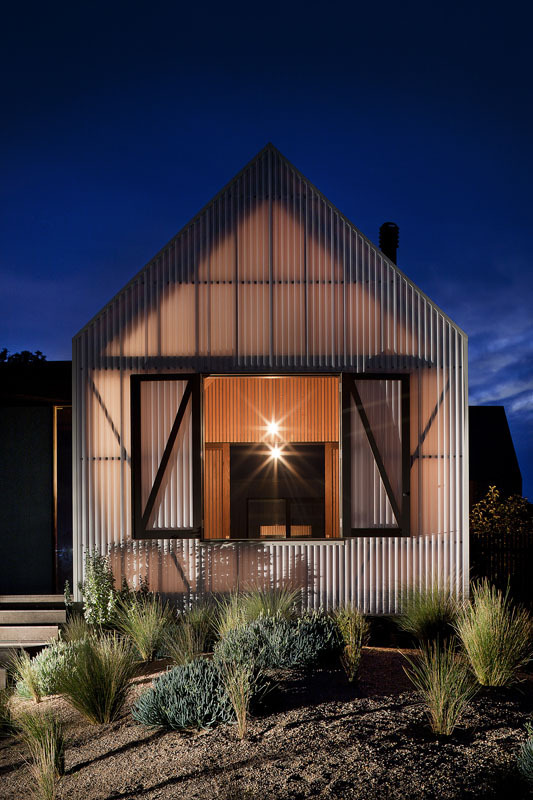 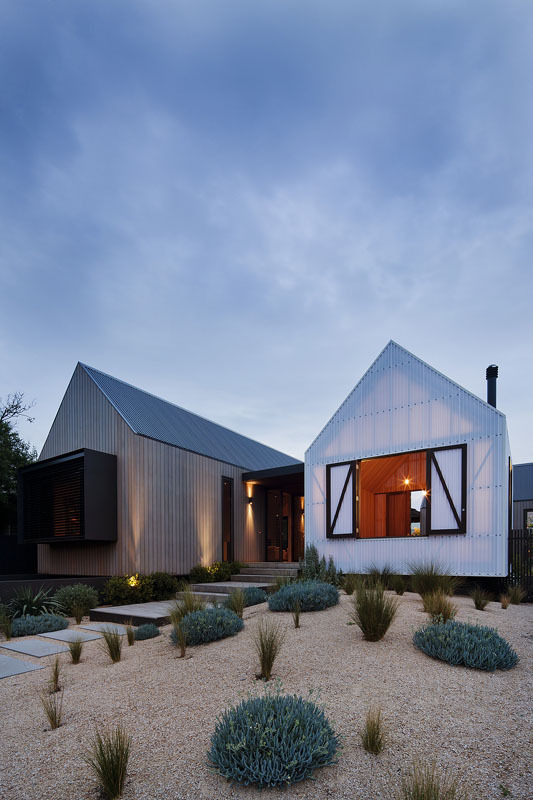 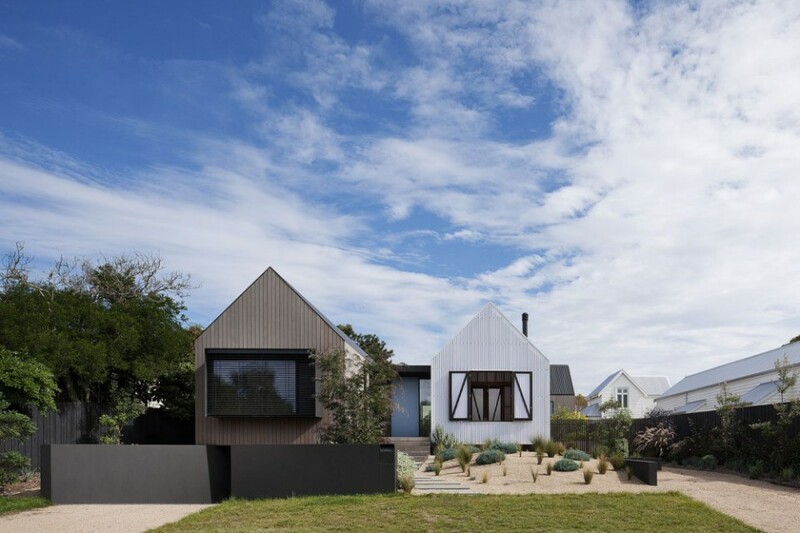 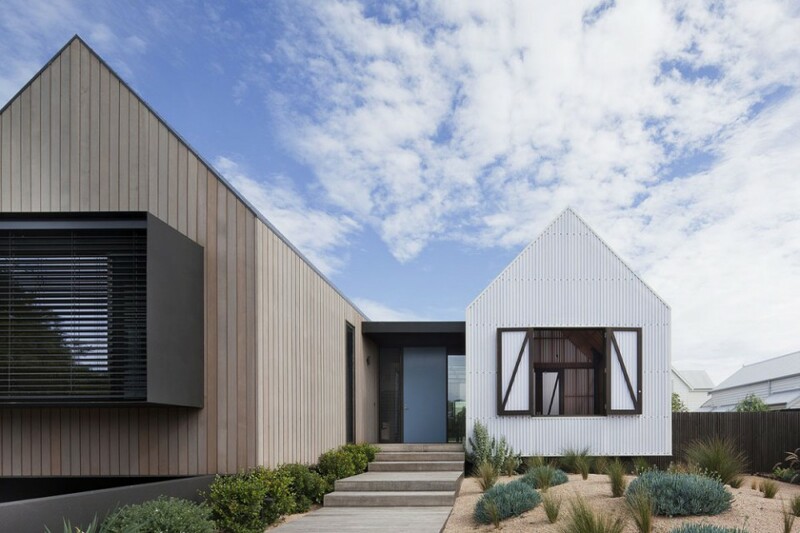 This house is located in old Barwon Heads on a street which accommodates an eclectic mix of post war beach houses dominated by single storey weatherboard dwellings. 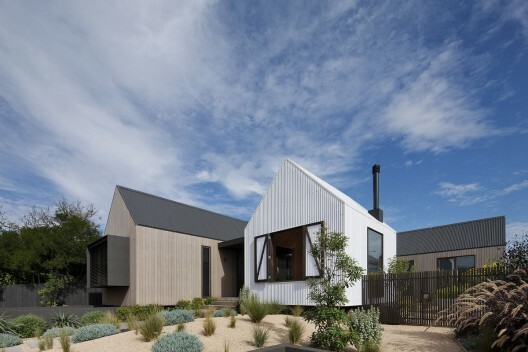 The house was to fulfil a modest brief for a beach retreat and subsequently it would become owners permanent dwelling. 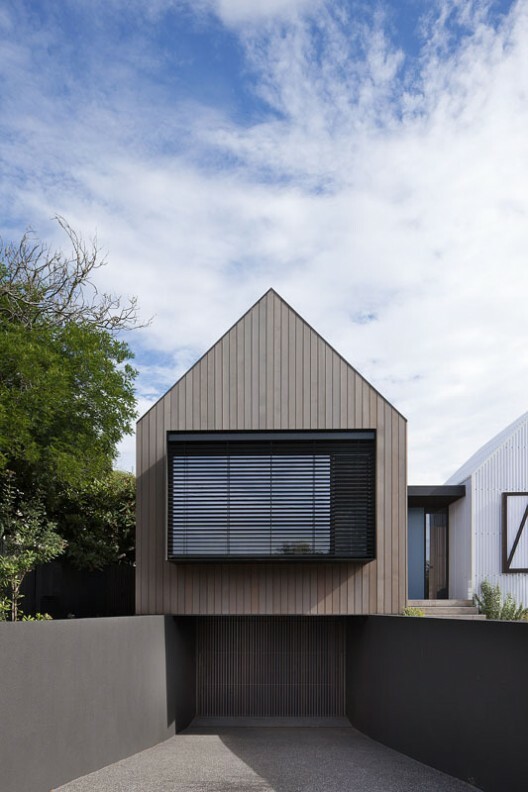 The planning arrangement of the house is split into three primary pavilions arrangements separated by glazed links – south, northwest and northeast, all of which embrace a north facing courtyard garden protected from prevailing breezes. 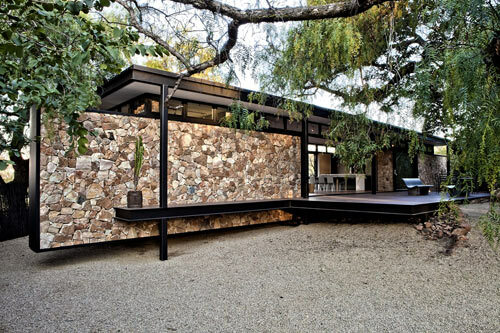 The northwest pavilion encompasses the retreat, master bedroom, Walk-in robes and ensuite. 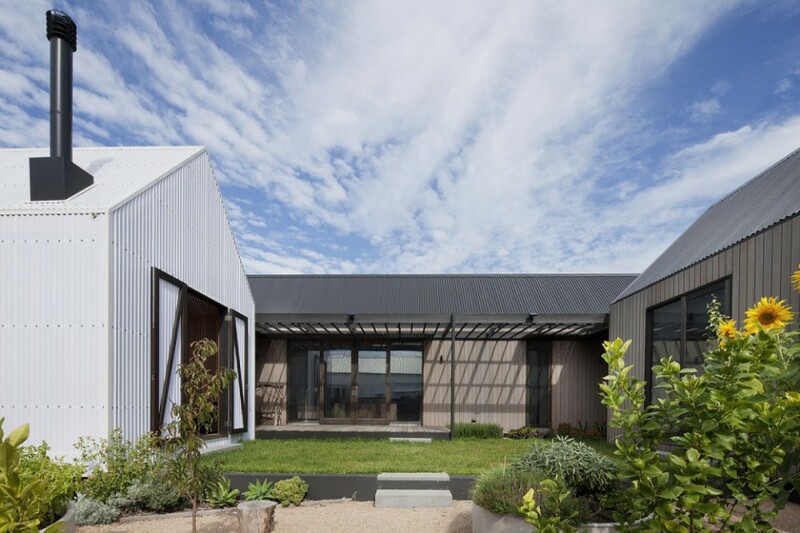 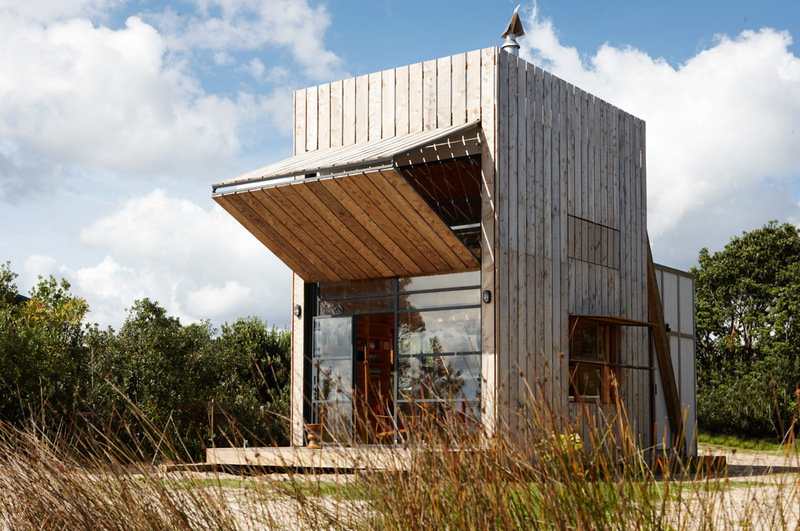 Two primary elements are split by a breezeway to improve cross flow ventilation and to accommodate an outdoor shower often used on return from the beach. 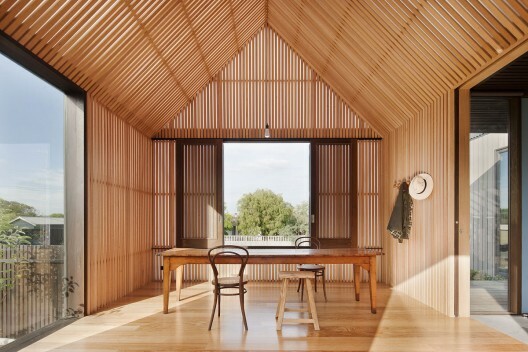 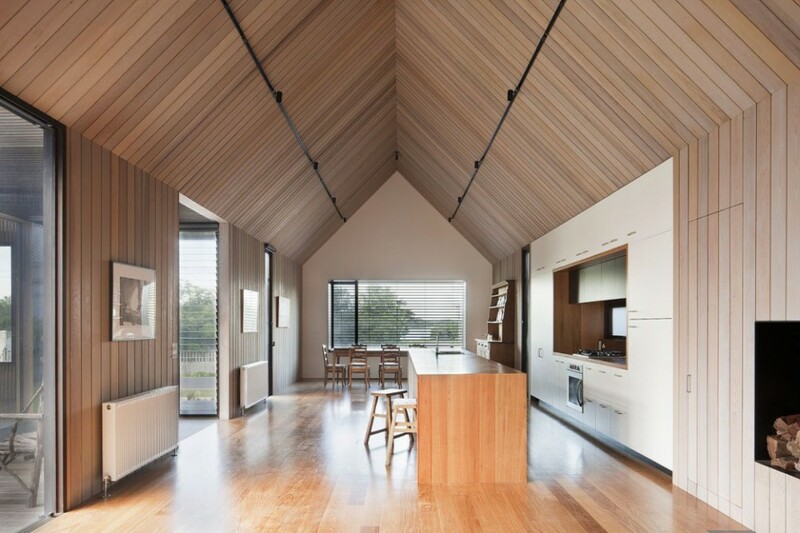 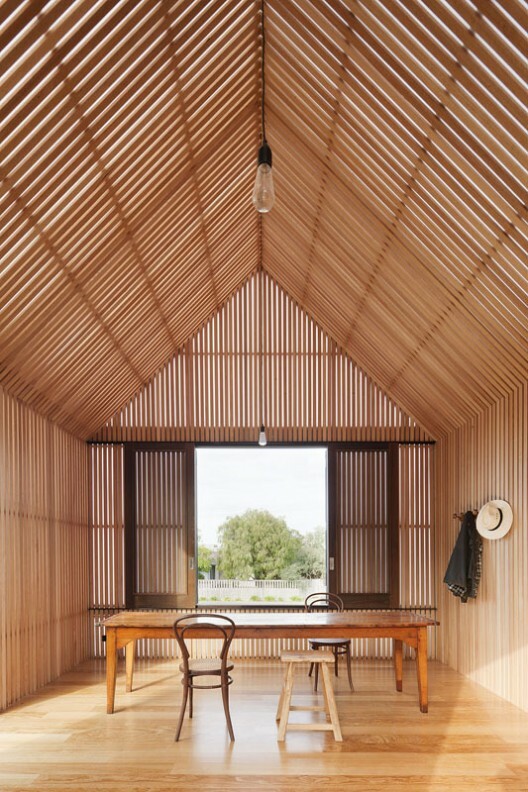 The northeast pavilion (fronting the streetscape) provides a shaded gauze room referencing aspects of traditional rural woolsheds which used timber battens for shading whilst providing extensive cross-ventilation for cooling purposes. 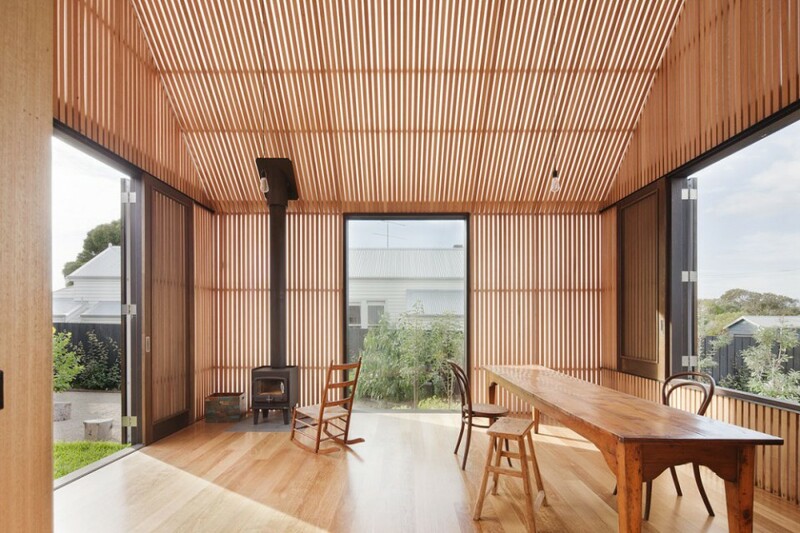 An important aspect of this room is its direct and engaging relationship with the streetscape and the important social aspect of communicating with people passing by on foot.